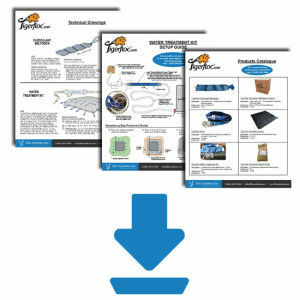 Tigerfloc Water Treatment Kit with Free hat | Floc Systems Inc. The Tigerfloc Water Treatment Kit is a product that should be on every active construction site where erosion and sediment control is required.The Tigerfloc Water Treatment Kit is housed in a plastic tote which makes it very easy to store on site, ship to a site, and prevents it from getting wet. 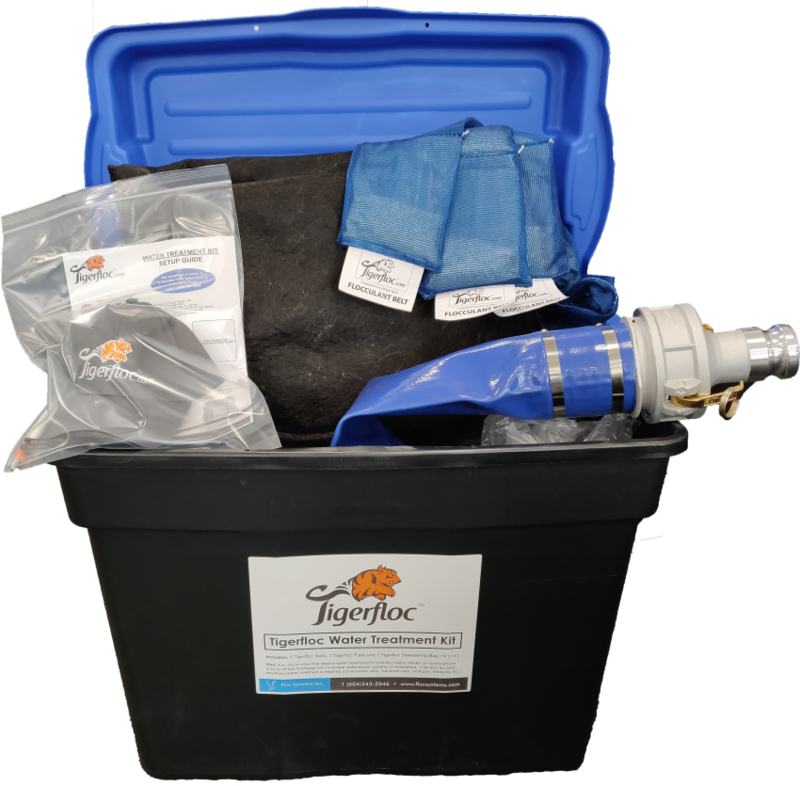 The Tigerfloc Dewatering Kit has everything you need to start treating dirty water, with a setup time of only 15 minutes! 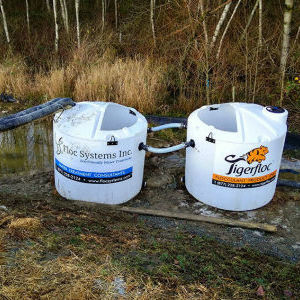 Having the Tigerfloc Water Treatment Kit on site is a piece of mind knowing that within 15 minutes you can have a functional water treatment system set up able to successfully treat up to 100 gallons per minute of water prior to discharging it off site while remaining compliant with your local Municipality to avoid fines, getting shut down, or both. 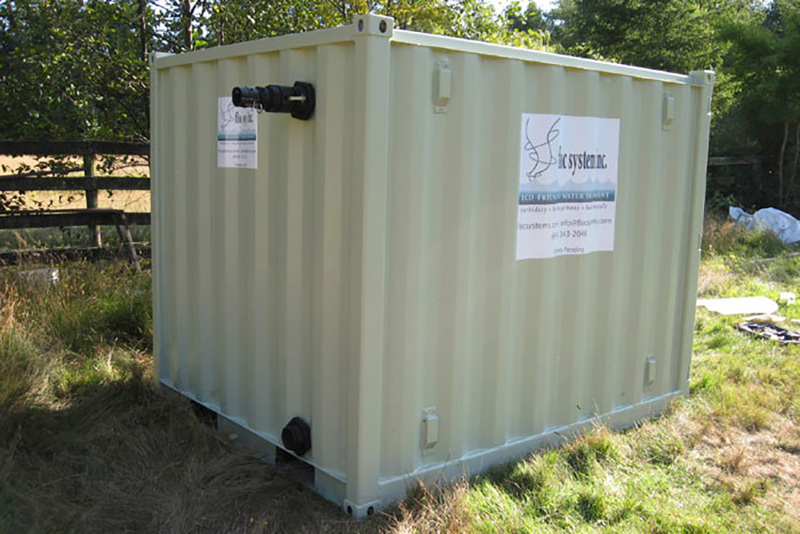 The Tigerfloc Water Treatment Kit can be kept safely on site and never used if not needed. None of the contents have an expiry date, so you are able to take the water treatment kit to your next project and set it up there. 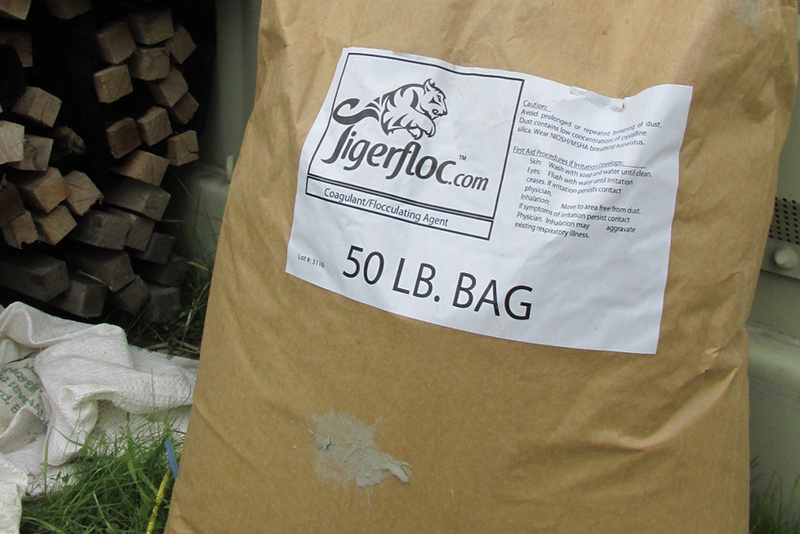 When treating <500 NTU water, one Tigerfloc Belt/Sock in the Floc Tube will usually suffice; however, if your turbidity is >500 NTUs, we recommend inserting two Tigerfloc Belts/Socks into the Floc Tube. The Tigerfloc Belts/Socks can be attached to each other end-to-end using a zap strap (zip-tie). 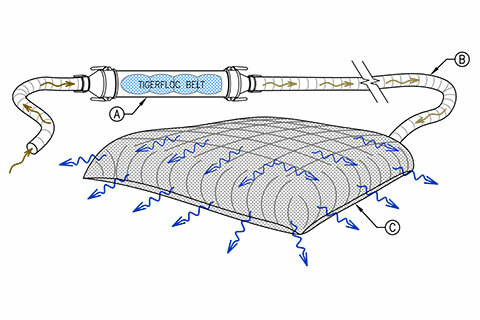 A) Tigerfloc Tube: 84" (L) x 4" (W) Layflat hose secured with 2"-4" camlock fittings; with Tigerfloc Belts/Socks which are inserted individually or two at a time into the Tigerfloc Tube. B) 2" Pump Hose: min 50' length for optimal unit performance. 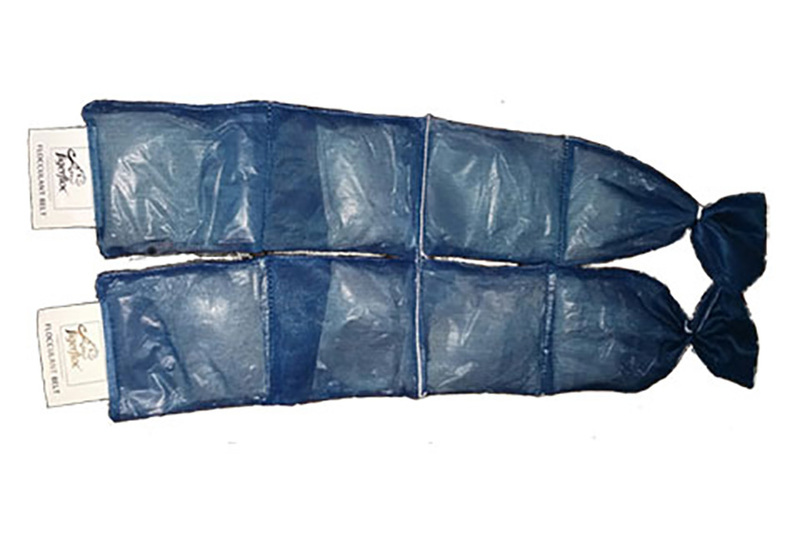 C) Dewatering Bag: 15' x 15' size manufactured by Floc Systems Inc. 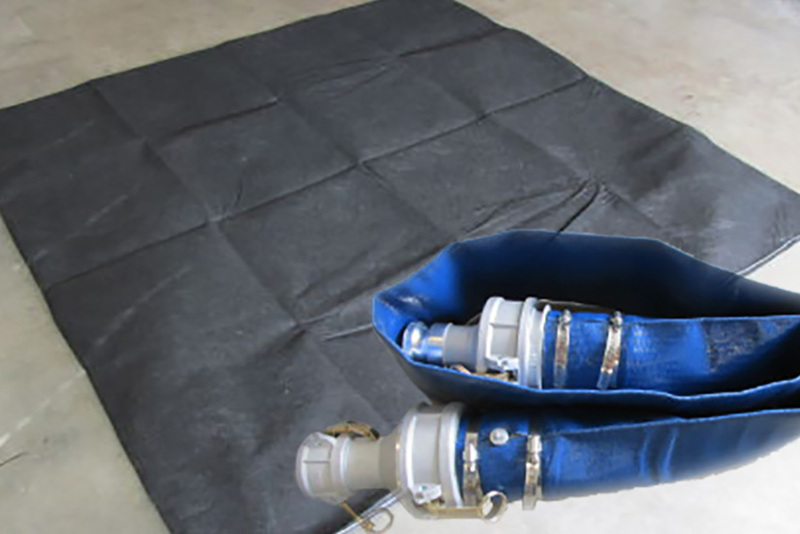 The Dewatering Bags are custom cut and assembled with seam fold to ensure sediment material does not escape at the seam as it does with other dewatering bags.